What is col file? How to open col files? The col file extension is associated with AutoCAD, Animator and other modeling applications developed by Autodesk for Microsoft Windows and Apple Mac OS X (macOS) operating systems. 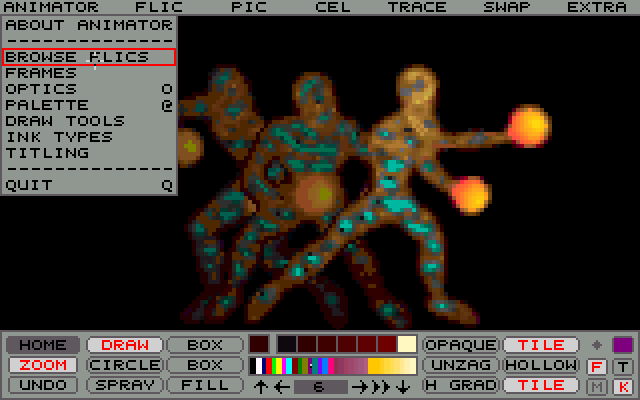 The col file contain saved color palette. Autodesk Animator is a 2D animation and painting program very popular in the late 1980s and the early 1990s. Eventually the development on the product ended and it became no longer supported by Autodesk. The *.col files are used for internal purposes of Autodesk apps. There is no way how to convert col files to other file format. and possible program actions that can be done with the file: like open col file, edit col file, convert col file, view col file, play col file etc. (if exist software for corresponding action in File-Extensions.org's database). Programs supporting the exension col on the main platforms Windows, Mac, Linux or mobile. Click on the link to get more information about listed programs for settings col file action.